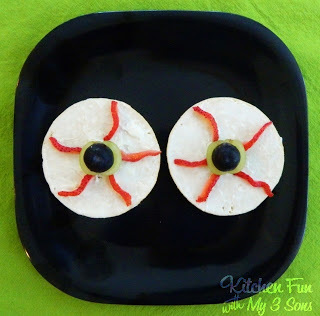 We made Eerie Eyeball Bagels and they are such a fun and easy snack or breakfast to make the kids for Halloween! We toasted our bagel thin. Then we opened up our wedge of cream cheese and spread it on each half of the bagel. Cut off the outside edges from 2 strawberries. Then cut strips from the slices curving as you cut. Place the strawberry strips around the bagel. Cut 2 green grapes in half. Then cut the sides so they fit together. Place in the middle of the bagel. Cut a dark grape in half and place the halves on top of the green grapes. You can even make a funny face out of it! My oldest son has blonde curly hair so we used scrambled eggs to make the hair! 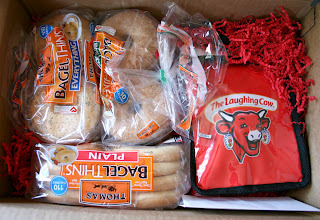 Thomas Bagels & The Laughing Cow Cheese were so kind to send us a box of their products to try out…. We love Thomas Bagel Thins and get them all the time and love all of them. We received the Plain, 100% Whole Wheat, & Everything Bagels. My kids love the whole wheat bagels and my favorite is the everything bagels. My husband Josh loves the everything bagels as well! This was the first time I have tried The Laughing Cow Cream Cheese Spread. We received 4 different flavors….classic, strawberry, cinnamon, & garden vegetable. They are all excellent! My favorites are the strawberry & cinnamon. My kids & husband like the classic the best. I also love that the wedges are only 110 calories! The wedge is the perfect amount to cover 2 bagel halves. You can check out The Laughing Cow on their Website, Facebook, & Twitter! My boys gobbled up these bagels and cream cheese wedges up in a flash..we love them! 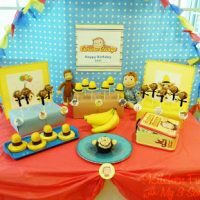 Curious George Party with LOTS of fun food ideas! So cool, especially for Halloween! These are really great! I also think they would make an ideal Halloween breakfast. Cute! 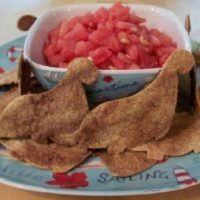 I'm going to try this with my picky eaters! So very cute!! and scary in a cute way. 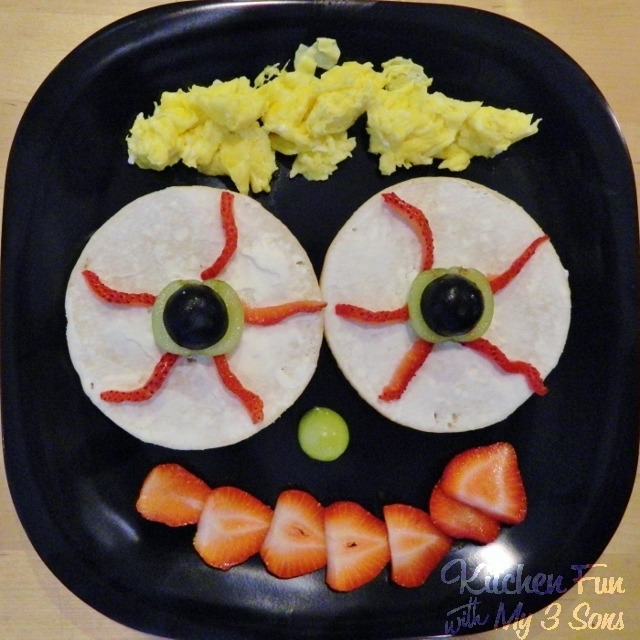 My little man would love to eat this for breakfast. 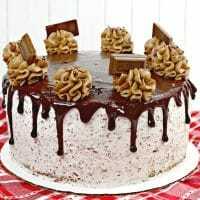 I would love to give this to my daughter and see her reaction! Thanks for sharing!